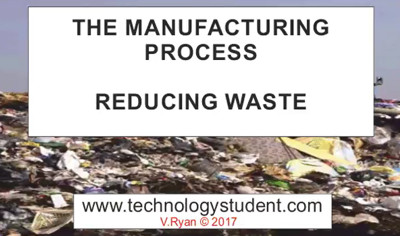 Good planning of the manufacturing process will reduce waste. 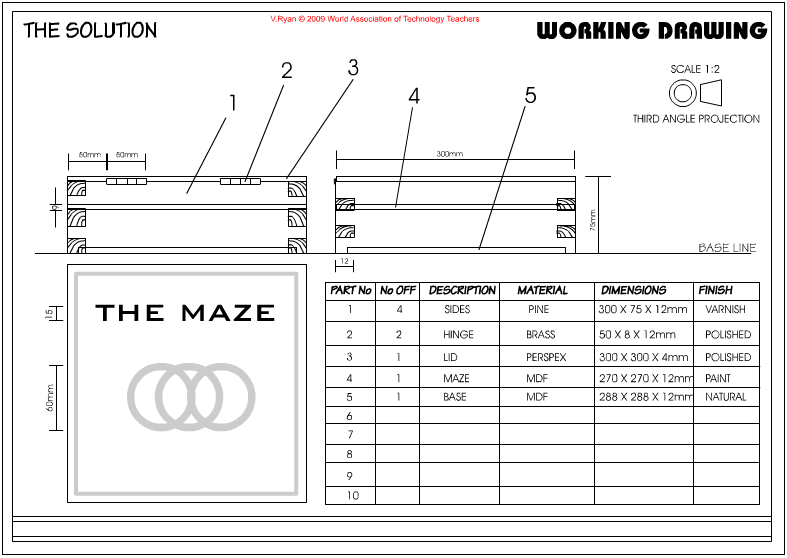 It is essential that an accurate working drawing with a parts list are constructed. This type of careful planning means that only the right amount of material and the correct sections and sizes will be ordered. Waste is reduced. 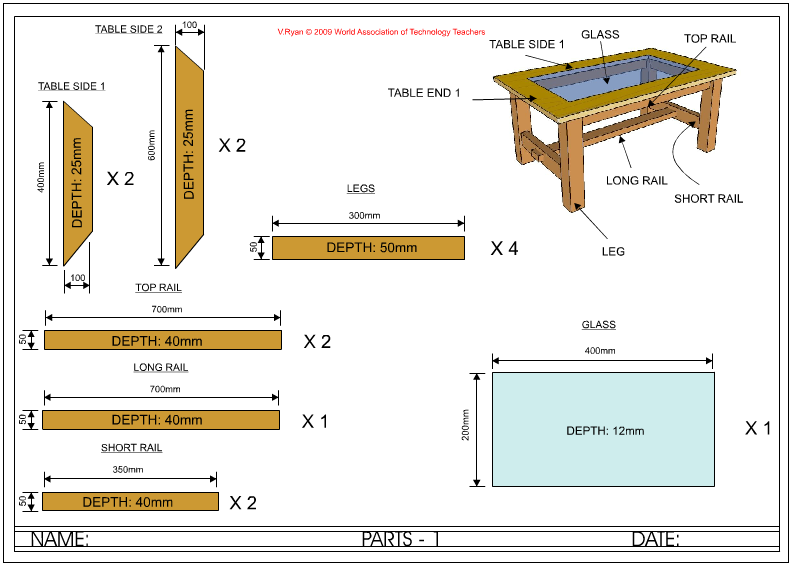 A working drawing shows the product from a number of angles and also has precise measurements. Working drawings are usually accompanied by a parts list. This details all the parts that make up the product. Measurements for each part are also included. The example opposite shows a wooden box which houses a game. A parts sheet displays all the parts drawn separately. Precise measurements are included. This type of planning is useful, as it is possible to see all the parts before they are put together as a working drawing. Hidden parts are seen unlike on a working drawing. Order the correct sections and lengths. Example 1: A length of pine is required to manufacture four legs of a table. The working drawing shows that the legs have a square section of 50mm. However, a larger section (60 x 60mm) has been ordered. This means that the section will have to be cut down on a circular saw and then plained, before it can be used for the legs. The large section is more expensive. Expensive time is wasted reducing the size of the materials. The table is more expensive as a result. 1. Using the internet, find a wood suppliers. 2. Identify the different sections available for pine boards. 3. List the prices of the various sections you found in question 2. 4. Find the prices of the same or similar sections in two other types of natural woods.